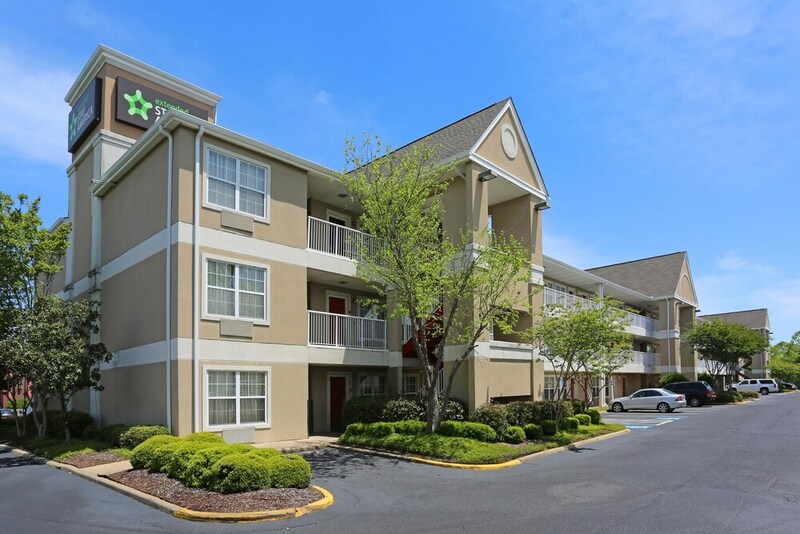 Extended Stay America - Montgomery - Eastern Blvd. How polite they were and helpful to suggest things to do in the city. The hotel outside needed a little TLC. The room from first glace it's fine....don't forget to clean under the bed. I had to clean my room behind them. Then i was told 2days into my 5day stay they didn't have any face towels. They came in and sprayed the room after i said no cause I'm pregnant. After that we started too see roaches. I'm sick now from them spraying. Room was large and roomy, but it was a handicapped room. I did not request a handicapped room and felt awkward using this room since someone with real "needs" my require the accommodations. I had difficulties with the WIFI. When I called the office, staff said they would look into the situation and call me back. An hour later, I had not received a call back so I called the office. "Sorry. We can do nothing about the WIFI issue" was response, but I was more frustrated with the fact that she said she would call me back and did not follow through on her words. Poor customer service. We had a police situation next door to my room, complete with pounding on the front door of the room right next to mine, yelling, police talking about charges right outside my window, yet no one from the office bother to call me and offer an apology or explanation for the situation that was happening at 11:30p. Very disappointed in management. This is without a doubt one of the worse hotels I have ever seen. The furniture was ragged. The room had a bad odor. The sheets were not changed. We knew this because of the hairs that were found when the sheets were pulled back. The hotel itself is located in high crime area. Do yourself a favor and pass this dump by. I didn’t want to do it, I promise I didn’t, but I was left with no choice. I sent 2 emails to the general manager, but felt prompted to write a review because nothing, and I mean nothing, went right. Here it is in condensed form; 1). Found several roaches in the kitchen area and one on the bed. 2). Was given dirty dishes and no dish soap. 3). Broken smoke detector 4). After switching rooms because of roaches, was given a smoking room, when I’m a non smoker 5). Allergies now active because of cigarette smell in room (itchy & watery eyes, itchy throat, sneezing) 5). No dishes are kept in the room, nor do they offer them to you or ask if you’ll need them upon check-in. 6). Neighbors playing loud music at 2:00 in the morning. 7). Can hear upstairs people walking around or banging in the middle of the night. 8). Customer service was ok, but not the best. Though I was refunded 2 of my 3 night stay (should’ve been refunded the entire stay), no one smiled. The only person to smile was the person who checked me in and that was around 12:30/1:00am. I will never stay at this or any other Extended Stay America ever again and I recommend you don’t either, especially the one on Eastern Avenue in Montgomery, Alabama. 9). Their beds and pillows are the worse I’ve ever experienced. Normally hotel beds and pillows should be more comfortable than home. Not here!! We checked in and left after 10 minutes and found another hotel. Very dirty Carpet was very dirty looked like haven’t vacuumed in a long while. Large chucks of things on the floor. we checked in and the first room we got had a clogged toilet. The staff was very accomidating and gave us a new room which was fine. Very friendly staff. Because of room conditions lobby clerk said she would refund 50 percent off room,but orbits would have to refund it to my card. Have you? Room had a stale smoke odor, beat up furnishings and the AC compressor sounded like it was about to fall out of the housing. Don’t come and spend your money on a weekend! There were gunshots shot at the hotel last Friday night as well as people running back and forth. This place is dangerous! The room was clean, located to close to shopping, and restaurants. I would stay here again. The room was clean I stayed 2 nights and would stay here again. The hotel staff was very nice. It wasn't more than expected. I expected it to be dirty and cheap, but hey proved me wrong. Extended Stay America - Montgomery - Eastern Blvd. places you within 2 miles (3 km) of Montgomery Museum of Fine Arts and Blount Cultural Park. This hotel has 120 rooms and welcomes guests with conveniences like free breakfast, free in-room WiFi, and free self parking. Start your day off right with a free on-the-go breakfast. Guests can expect to find free WiFi and 32-inch a flat-screen TV with cable channels. Other standard amenities include a kitchen, a refrigerator, and a microwave. Weekly housekeeping is available. Extended Stay America - Montgomery - Eastern Blvd. features free WiFi in public areas and laundry facilities. If you drive, put free parking to good use. The front desk is staffed 24/7 to help secure valuables, and answer any questions about the accommodations. Guest reviews for Extended Stay America - Montgomery - Eastern Blvd. Free on-the-go breakfast is offered. The preferred airport is Montgomery, AL (MGM-Montgomery Regional): 19-min drive, 15.2 mi/24.4 km. Extended Stay America Eastern Blvd. Extended Stay America Montgomery Eastern Blvd.